The Egg is generally speaking a roundtail full shouldered board with mild roll bottom to Vee in the tail. Flattish rockered and thin rolled rails with edge through the tail. Take a look back on the evolution of the surfboard. If you hit the pause button around 1970 you will see the “Egg” somewhere in the transition from the longboard to the shortboard. The Egg is something of a hybrid. Flow and a smooth riding style being its main attributes. 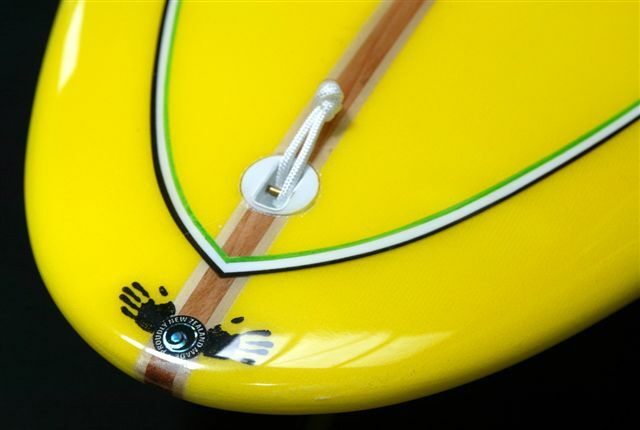 The Egg is a good paddling all around board, and a great compliment to a multifin quiver. If you like the sound of a relaxed, cruisey style then the Egg is a great option for you.